I awake from a groggy nap in the back of the truck. We hit the winding road. I honk at my bar friends still going hard. I wonder just how long they have been partying? Nacho and crew are caravan’ng with us. We climb through hills and valleys. I keep ahead of Nacho a bit but always wait to make sure my underpowered brother is OK with these steep hills. Our truck was secured in a nearby parking lot. I went to go pick it up one Sunday morning around 7AM, hoping the garage owner would be awake. As I approached the garage I heard a lot of singing and revelry taking place. I figured, maybe its church? I round the corner to the garage and find 15 guys streaming out of the bar across the street. 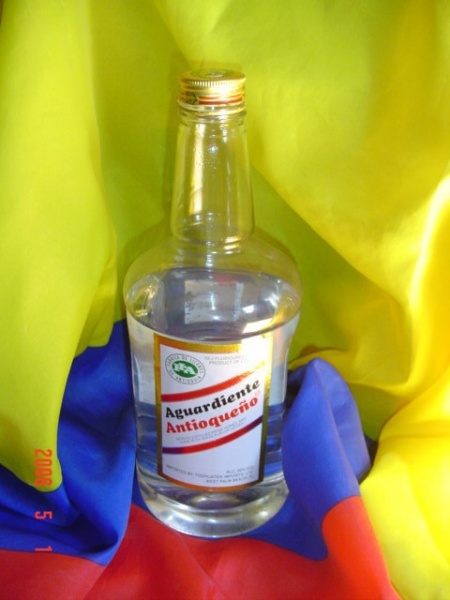 They are singing songs and taking shots of Aguardiente (The anise-flavored Colombian liquor of choice). Not ones to stay down, the next morning we regrouped and relocated the trucks to another trailhead. We found a nice little hacienda where we could camp and the host would cook us dinner, all for ~$5 each. Not bad! Th 4Runner led the charge tracing through the sinewy backroads of El Cocuy National Park. Due to the consistent rainfall around this time of year, the unpaved road had transformed from nicely packed dirt to slick snotty mud. I had to use 4×4 a few times to make it up the inclines. Traveling with our good buddy Nacho is kinda like hiking with a fat girl. Sure, sometimes you gotta stop and help her up the hills but… she always has the best snacks!